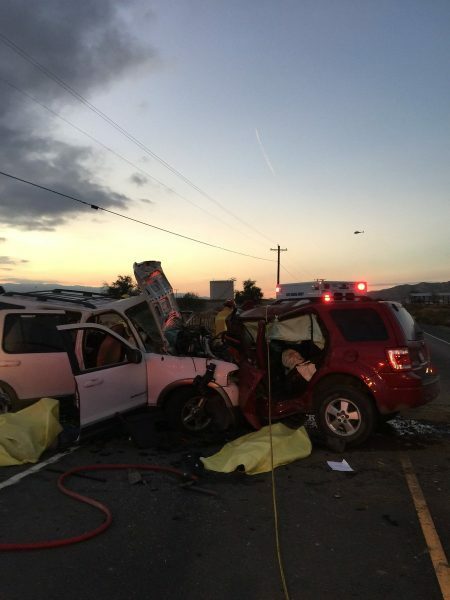 Three people died after two SUVs collided head-on Sunday afternoon on Highway 166. 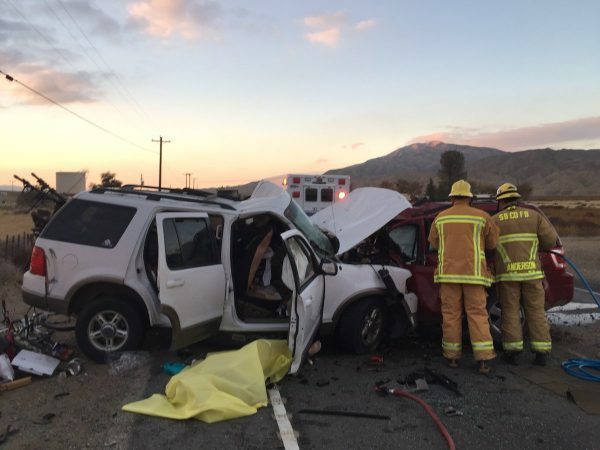 The SUVs collided at approximately 4:20 p.m. about one mile west of Cuyama, according to the Santa Barbara County Fire Department. None of the occupants in the vehicles survived the crash. A man and a woman traveling in one SUV both died. The other victim was a man who was driving the second SUV. Authorities have yet to identify the victims. It is unclear what caused the vehicles to crash into each other. The California Highway Patrol is investigating the crash.